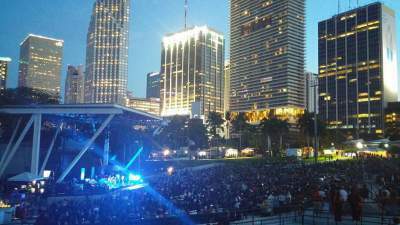 You will find Miami concerts 2019 in the various venues that range from intimate to outdoor venues with views of the Biscayne Bay. Miami boasts a wide variety of venues that can hold anywhere from 250 people to over 55,000 patrons on any given night. You can view a show within the historic Fillmore Miami Beach at the Jackie Gleason Theater which is house in Art Deco designed building to the American Airlines Arena with its state-of-the-art facility. Venues such as the Klipsch Theater at Bayfront Park offer excellent outdoor performances and the Knight Center at Adrienne Arsht Center is a true acoustical masterpiece that brings the joy of music to your ears. Whether you are interested in classical, hip-hop, rock-n-roll or legendary artist like tony Bennet, there is a perfect venue in Miami area. 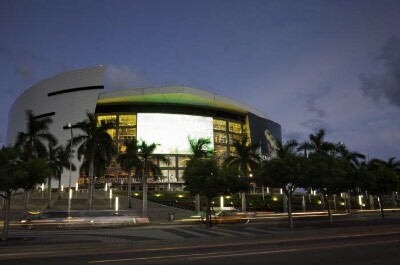 Located in the downtown Miami area, the American Airlines Arena is home to the World Champion Miami Heat of the National Basketball Association. But that is not all what the American Airlines Arena is about and is a great place to see a Miami concert. The arena has hosted hundreds of first tier musicians that range from Gloria Estefan to U2 to Maroon 5 to Lady Gaga and Shakira. Other fantastic events that have been held at the arena such as the MTV Video Music Awards were widely acclaimed for sight lines and acoustics. The arena offers three types of seating arrangements that range from 180 degree views to 270 degree views to center stage concerts. This is a state-of-the-art arena with amenities abound from private suites to club level lounges to plush comfortable seating options. Situated in the Art Deco Historic District, the Fillmore Miami Beach at Jackie Gleason Theater has been a mainstay on the Miami concert scene since it opened as the Miami Beach Municipal Auditorium in the 1950s. 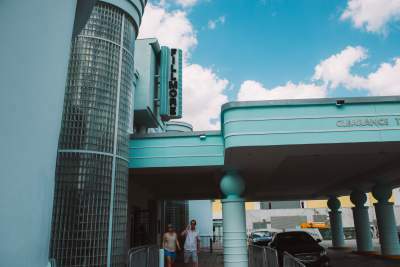 The Fillmore Miami Beach at the Jackie Gleason Theater is a masterpiece of a building with a stylish Art Deco design with a capacity of 2,730 patrons and a superb state-of-the-art sound and special effects system. Legends from Jack Benny to Bob Hope to Frank Sinatra as well as the Ed Sullivan Show have graced the stage. After a complete renovation in 2007 the theater hosts a variety of performances from rock legends like Lenny Kravitz to theatrical performances of Phantom of the Opera to classic greats like Tony Bennet. 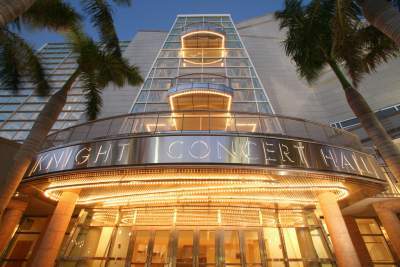 Situated within the larger Adrienne Arsht Center in downtown Miami, the Knight Concert Hall is a superb place to listen to a Miami concert that with musicians playing live acoustic, orchestra and solo performances. This 2,200-seat theater is renowned for sound qualities because of the intimate design which involves two buildings which includes the inner space for the audience and musicians as well as an outer space that helps modify the reverberation of the music. There are four tiers of seating which boasts excellent sight lines for performances which have ranged from the Flamenco Festival Miami to Frank Sinatra Jr. to Jazz Roots to the Beach Boys. The Knight Center at Adrienne Arshst Center is a true acoustical masterpiece that is full of listening pleasure. Situated within the 32-acre Bayfront Park, the Klipsch Amphitheatre has been hosting Miami concerts and music festivals for decades. The Klipsch Amphitheatre at Bayfront Park formerly known as the Bayfront Park Amphitheatre is a perfect outdoor venue for music festivals that span one to several days. With a seating capacity of around 10,000 people, the venue offers great acoustics and viewing angles of any outdoor amphitheater in the country. The amphitheater offers patrons easy access with its close proximity to the Metrorail and Metromover. The Klipsch Amphitheatre at Bayfront Park has hosted events such as the UItra Music Festival which attracted over 165,000 patrons within a three day period. Located outside of Little Havana, the Miami Dade County Auditorium (MDCA) is spectacular place Miami concert venue that highlights the cultural diversity of Miami by showcasing innovative and exciting performances. The MDCA has two specific venues with a 250-seat On Stage Black Box which features intimate theater shows, lectures, workshops as well as a larger 2,372-seat theater which hosts accomplished music, dance and theater performances. Constructed in 1951 with an Art Deco style, the MDCA has been in the forefront of bringing the culture of Miami to life and more recently by celebrating the Hispanic and Latin communities that have helped Miami flourish. 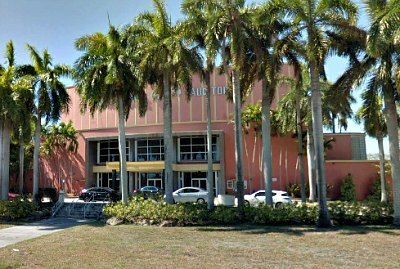 Situated along the Biscayne Bay shoreline, the Aventura Arts and Cultural Center (AACC) has been hosting Miami concerts and live performances since 2010. The AACC is instrumental in bringing eclectic live shows that range from symphony to ballet to comedy and magic acts. 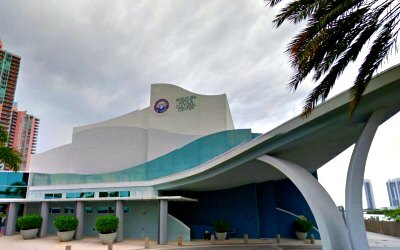 This unique facility has a beautiful glass façade with a gorgeous view of the Biscayne Bay which adds to the ambience of the theater. Past performances hosted by the AACC have included the Comedy and Magic of Scott and Puck, Popovich Comedy PET Theater and Billy Porter: Broadway and Soul. Most performances within the 330-seat theater are geared for all ages with an emphasis on family affair of fun as well as a cultural experience for all.